﻿When Rats Win: What Recourse Do Residents Have When Restaurants Make Bad Neighbors? When Rats Win: What Recourse Do Residents Have When Restaurants Make Bad Neighbors? Pizza-Iole Pizza by the Slice, the B Spot and “il Capo di Capitol Hill” (the re-named Mi Vecindad) all contribute to an ongoing trash, rat, and noise issue distressing residential neighbors near 12th and Pennsylvania Avenue, SE. Neighbors have a long and well-documented history of efforts to resolve issues concerning properties owned by Mahmoud Abd-alla at the above location, including 14 calls to the city between October 2011 to August 2012 concerning the trash issue and six calls since March 2012 complaining about noise or late night construction work. Neighbors have also reached out to ANC 6B and Councilmember Tommy Wells. The city has responded by dispatching inspectors on a regular basis to address the neighbor’s concerns about food trash which contribute to an infestation of rats in nearby yards. Baiting with poison has ameliorated but not eliminated the problem. But despite the strenuous efforts of residents, problems continue. Recently the trash dumpsters that are the likely culprits for attracting rats were moved – not to mitigate the rat problem, but to place them out of view from neighbors’ windows so they could no longer take pictures of them. In fact, the dumpsters were moved closer to residents’ homes. Most frustrating, according to one neighbor, is the failure to get city officials to say what the city has required the venues to do and how the city is following up to ensure compliance. The answer to what the consequences will be for failure to comply appears to be that there are none. 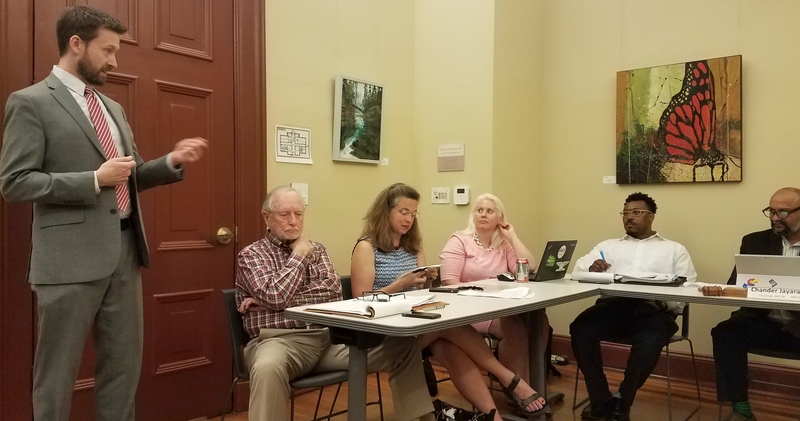 Because of off and on temporary compliance, and casual monitoring by Department of Health Code Enforcement, neighbors will bring the issue to ANC6B next Tuesday. Capitol Hill restaurateur Henri Mendoza has leased former Pacific Café Vietnamese restaurant from Abd-allah – reportedly, a 15 year lease. Initially opened as a Cuban restaurant, the place has recently converted to an Italian menu. 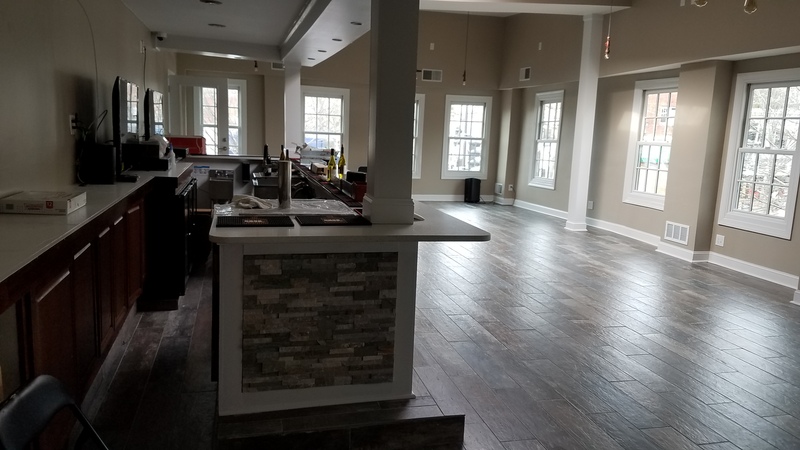 The liquor license for the establishment comes up for renewal this spring and will be on the ANC agenda in April or March, which may provide neighbors with some leverage with respect to a voluntary agreement. Meanwhile, the former proprietor of Pacific Café has re-emerged as a manager Pizza-Iole adjacent to the restaurant. Above the fast food is The B Spot described on their website as “a multi-purpose Art Gallery, Juice Bar and Tea Room located in the cultural corridor of Eastern Market.” The event space is available for catered events, and noise from that space has spilled out onto a rear deck, contributing to the neighbors’ unhappiness with the commercial strip. 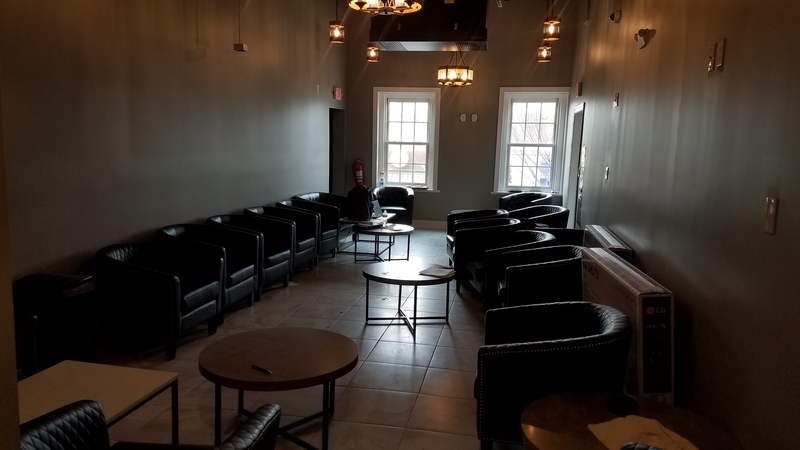 As readers of local city news know, spaces that are catered do not operate under the same regulatory burden as spaces that are established bars or restaurants serving liquor. Much of the problem seems to be unwillingness on the part of these establishments to be good neighbors – a problem that is by no means restricted to this particular strip. 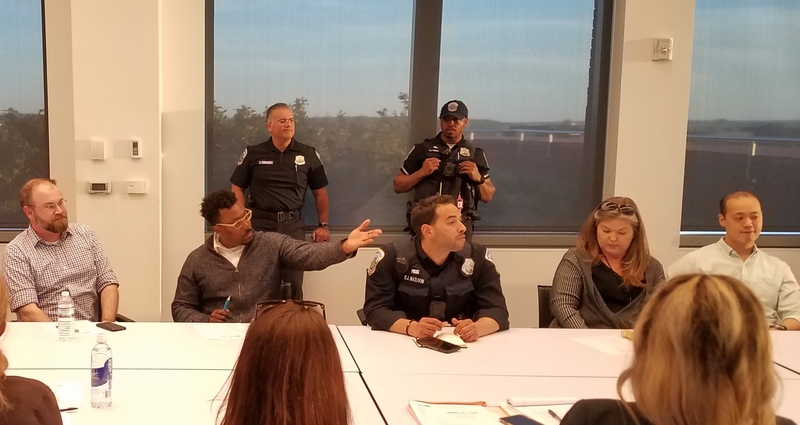 Recently, neighbors brought the issue of non-compliance with a voluntary agreement by Chipotle on Barracks Row before the ANC. Similarly, residents of 8th Street, SE, point to the differences in food trash existing among three restaurants on 7th Street opposite Eastern Market: Tunnicliff’s being among the worst, and BoxCar and Acqua al Due among the best. As the photos below illustrate, there is a wide disparity between what the city will tolerate and what a good restaurant-neighbor will voluntarily provide, and it is unrealistic to place the entire burden on residents to become de facto regulators, willing to cite each and every infraction, in order to bridge the gap. Rats continue to be a problem for residents bordering the 12th and Pennsylvania Avenue strip. Neither the ANC nor Councilmember Wells’ office has as of yet stepped in to demand, devise, or mediate a satisfactory and long-term solution. feb. 6, 2013 You have a point there about “There’s hardly anyone in that place – it’s always empty.” But if that is the case, it puzzles me as to what kind of traffic at Mi vecinidad that would generate so much garbage/trash to attract the rats? There”s got to be enough commercial (MONEY MAKING) activity to create all that garbage. Thanks for shining a spotlight on the rodent problem that residents face when their homes border food service establishments. Those who patronize the bars and restaurants of Barracks Row, Pennsylvania Avenue and 7th Street appear oblivious to the rodent problem that accompanies all these establishments. If an establishment fails to properly store garbage and trash and to control vermin associated with serving food and drink, one can be virtually assured that the same establishment runs a high risk of hosting vermin inside where patrons eat and drink. PATRONS BEWARE! Years ago there was as large feral cat population on the Hill and the rodent population was kept in check. I agree with Observant Citizen. Maybe more publicity to the patrons to avoid certain places would make more of an impact on the restaurants to clean up. We have a rat problem in the alley behind 1400 S. Carolina Ave. SE. The only eatery, Crepes on the Hill, is closed, but there are residents who contribute to the problem by not storing trash properly. Open trash cans or improperly disposing food trash by residents also contribute to the increase of the rat population. Good idea seems to be to avoid the rat restaurants listed above. Lots of other Hill restaurants seem to be doing things correctly. It’s not like the rat restaurants above are all that great anyway, all seem to be pretty awful restaurants rat or no rat. I feel for those who moved in before these places became what what they are today, but not so much. It’s been zoned for commercial for a loooong time. Folks, when you buy a house, you have to expect the worst. It wont forever be like it was and you dont buy the right to preserve a moment in time! If the restaurant doesn’t have the fancy enclosure like boxcar or acqua… (which looks pretty but I am certain also has its share of vermin patrons), it’s not going to build one! If you don’t buy a parking space you won’t have a parking space! Think ahead! Maybe there’s something that can be done to secure trash, etc… But short of poisoning everything, it’s never going to satisfy the neighbors who brag about their liveable walkable neighborhood but constantly decry the very things that make it both liveable and walkable. I’m sorry, but that’s a total cop out. The folks on the 200 block of 8th street abutt the alley between 7th & 8th and don’t have issues with most of the places, but it just takes one to create an unnecessary problem. Historically Tunnicliff’s has been a problem, even as the newer establishments make a concerted effort to mitigate this problem. It can be as simple as closing/securing dumpsters, maintaining traps, engaging pest management to be proactive, none of which the places on Penn seem able or willing to do. By your reasoning the neighborsshould be blamed for their choice of location instead of directly addressing the negligent source of the problem. And you don’t need to live adjacent to it to feel its impact. Rats multiply quickly and infestations spread. It’s by no means a given that an urban core has to have rodent infestation – there’s no conflict with “liveable and walkable”. That’s in your head. For example, you don’t see or hear about these issues around the Harris Teeter or Safeway. there have been food establishments on this corner for decades, so that argument is kind of bunk. It’s only been a problem since the current crop of places moved in. Makes me wonder why people eat in La Plaza, Tunnicliffs or Chipotle for that matter – they either don’t know or they don’t want to know.